The issues facing turtle doves are complex and long in the making, fully understanding these issues has itself proved difficult. The new turtle dove Species Action Plan brings together all of the latest research and on the ground knowledge alongside the necessary steps to safeguard the very existence of this species. For Operation Turtle Dove partner Pensthorpe Conservation Trust, turtle doves and their conservation has become intertwined into almost every aspect of the organisation and has been for many years. Pensthorpe sits in the Wensum Valley, with the market town of Fakenham to the north. Turtle doves can still be found in this part of Norfolk, though each sighting is now a treasured treat. 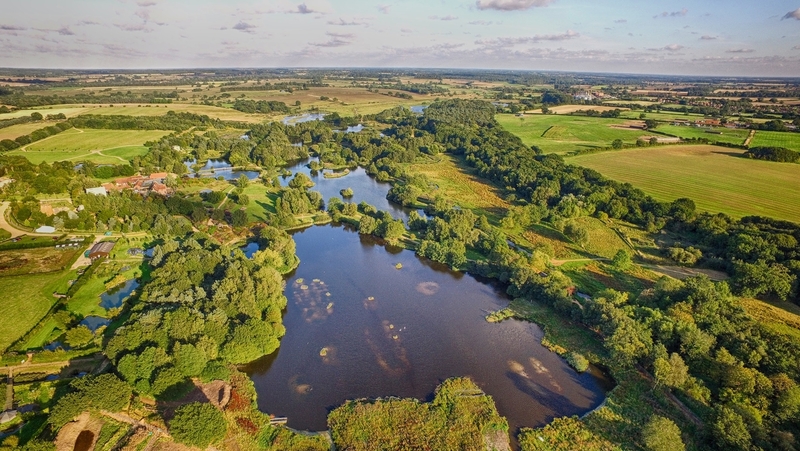 Alongside Norfolk FWAG (Farming and Wildlife Advisory Group) Pensthorpe was a successful applicant for the Countryside Stewardship Facilitation Fund and the Upper Wensum Cluster Farm Group formed on 17th July 2015 and now includes 5,500 hectares of connected farmland. The Group agreed unanimously at their first official meeting to name turtle doves as their flagship species. Over the last three years, there has been steady progress towards the Group’s aims. 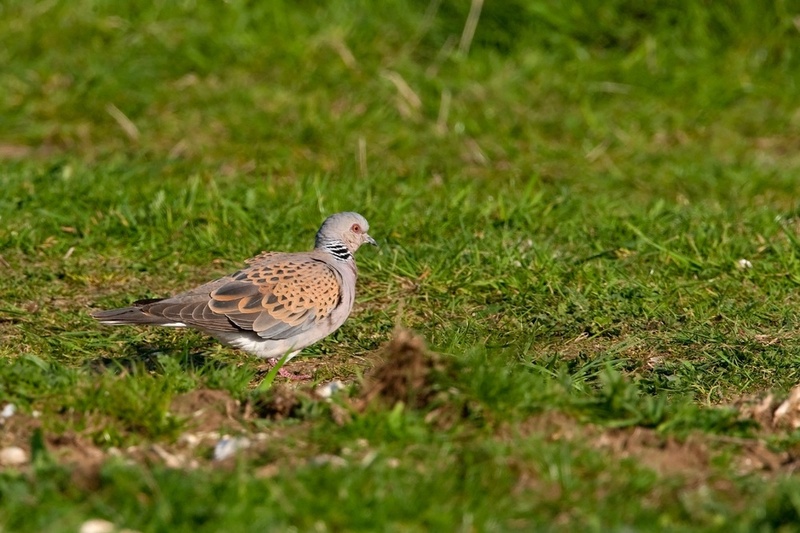 Baseline surveys of the key species including turtle doves were trialled in 2017 and all farms are keen to undertake the surveys again this year. These are essential to be able to monitor the effects of certain options and conservation efforts made by the group. We have held a number of farm visits to highlight exactly what turtle doves need and discuss practical ways where this could be achieved including using the lower yielding fields (or areas of) to create scrubby areas and to also leave hedges to grow three meters plus. The idea of restoring farmland ponds was also well received, with 22 ponds now created or restored by the farmers, to provide accessible water, vital for turtle doves but of course also for many other species. Most recently, supplementary feeding was discussed with the farmers unanimously agreeing to incorporate the new Operation Turtle Dove supplementary feeding protocol we will review the success of this initial trial in 2018 before rolling out to all suitable sites within the Group in 2019. Two of the key skills that Pensthorpe has been able to bring to the cluster group have been coordination and experience, linking birdwatchers with farmers to assist with surveys as well as birdwatchers feeding directly to Pensthorpe with their turtle dove sightings, we then pass these on to Birdtrack handling this data with the care and consideration for such a sensitive breeding species. We are lucky that we have wardens who have worked with turtle doves for many years to offer their experience of captive management. Of course working so closely with a species on so many levels, means that it is hard to imagine our countryside without these birds, so, for Pensthorpe the Species Action Plan, the work with Operation Turtle Dove on regional, national and international issues and the ongoing conservation work at the local level are all key to the survival of the turtle dove.